“Another temple? !” Everyone groaned. It seemed that if we weren’t eating, we were visiting temples. 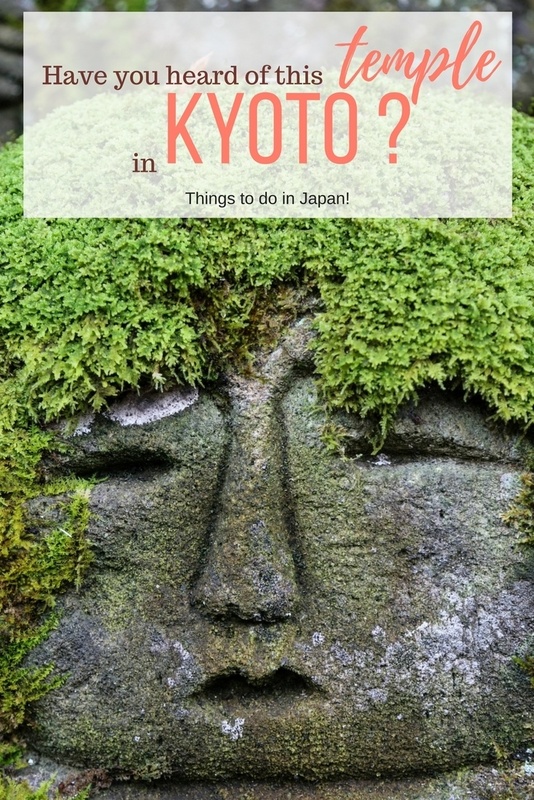 We loved Kyoto, but we were almost templed out. There are so many to see, all unique, all wonderful. There are just too many. Even I was a little leary that the Otagi wasn’t going to live up to my expectations. 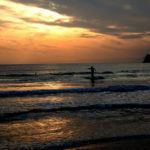 How different could it be? 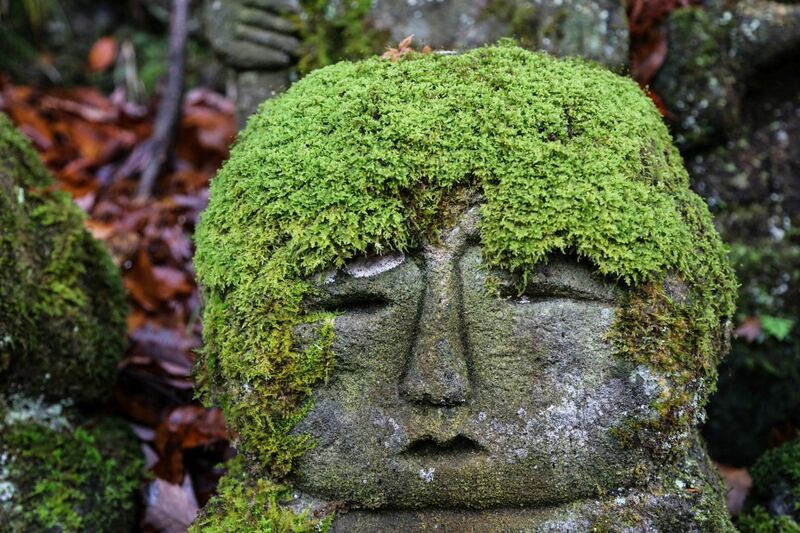 It’s one of those things you have to do when traveling around Japan, visit a long list of temples. Even though we were all a little temple-weary, we went, and boy were we glad we did. One word-fun! One of my favorite rakan. It seems he has just got back from getting a haircut. 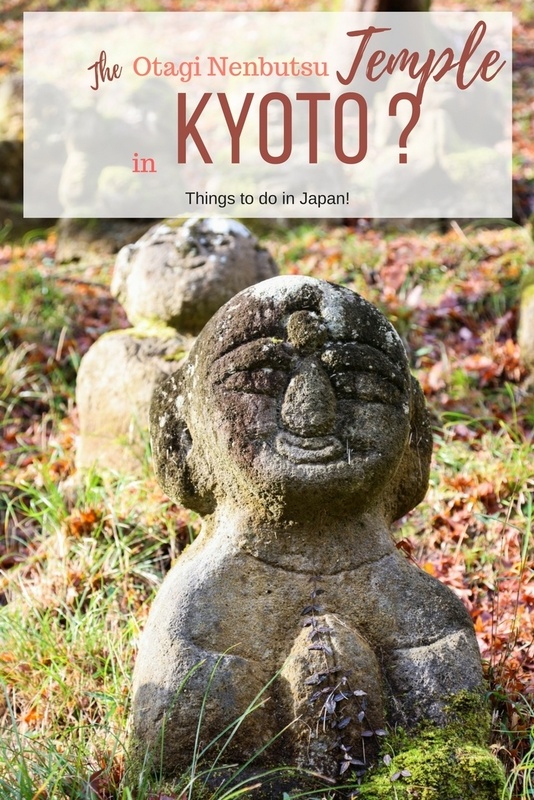 Have you been to the Otagi Nenbutsu Temple in Kyoto? 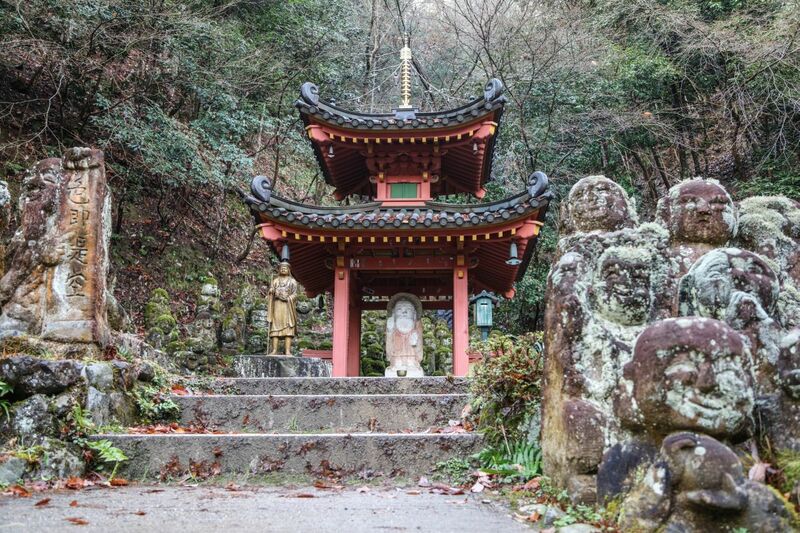 Like most temples, the Otagi Nenbutsu is peaceful and beautiful, but it has the added pleasure of all the rakan to discover. 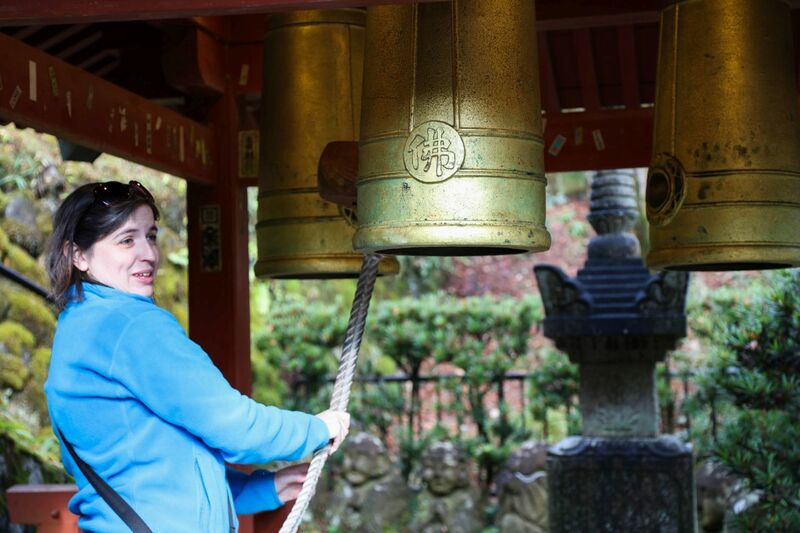 Devon rings the bell at the Otagi Nenbutsu Temple in Kyoto. 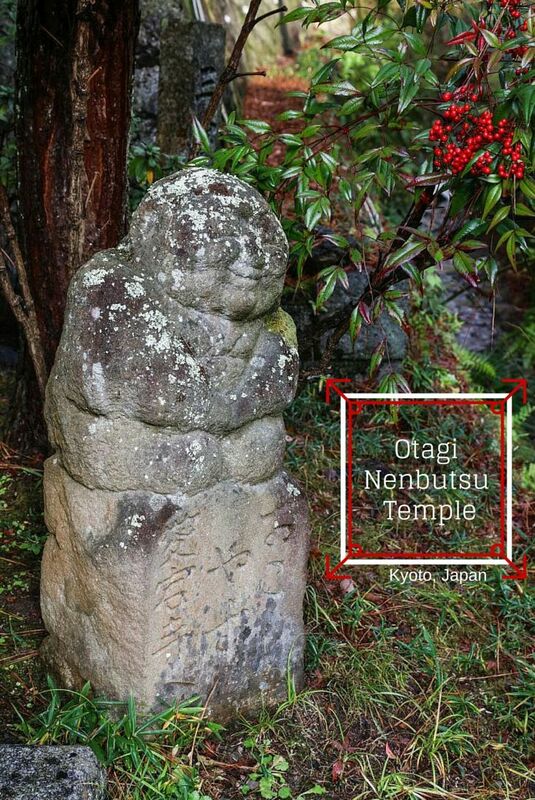 The Otagi Nenbutsu Temple is located a little out of the way. We drove to it along a pretty canal and some traditional houses. At one point the road was so narrow we weren’t sure if we were still going the best way. We probably weren’t; we were following our self-important, thinks-she’s-hilarious GPS. After a few minutes, though, we pulled up to a small, dirt parking lot next to a creek. There were no other cars there, so already we were a little happier not having to fight yet more crowds. This group of pious rakan look content even though their hair is getting a bit unruly. The entry fee is a mere 300 yen (less than $3.00). As soon as we walked through the gate, we started smiling. We smiled the whole time we were there. I’ve never been to a more fun temple. From our first short walk up to the beginning of the temple to wandering around and investigating every nook and cranny, we smiled. This is because the temple is filled with rakan, which according to the Japan Times, are short and stubby real-life renditions of human characters. Each one has its own personality, and we had the best time trying to find one that we thought could represent us. 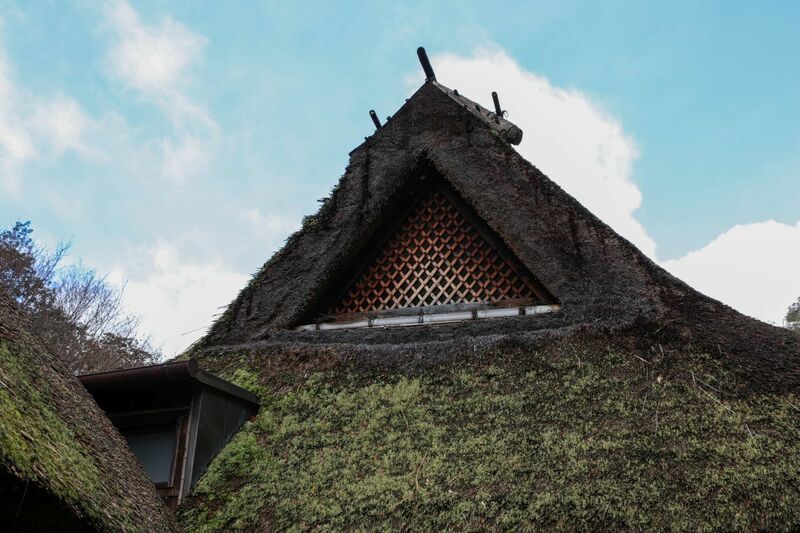 Traditional thatched roof covers the Otagi Nenbutsu temple. 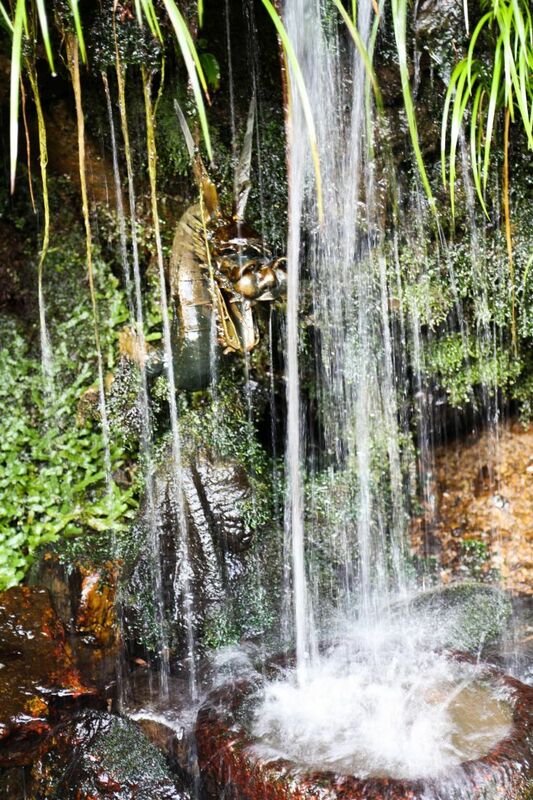 The dragon protects the spring, drink at your own risk! The little people are everywhere. 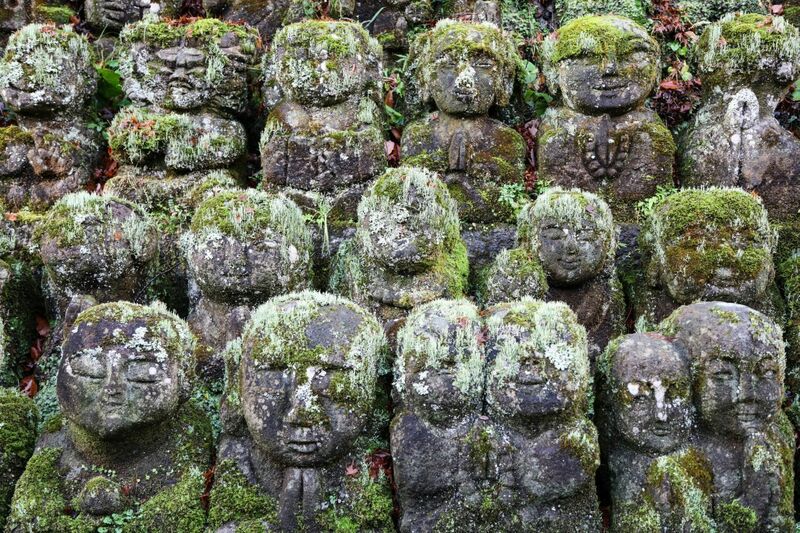 There are over 1200 of them and even though they are covered in all kinds of moss, they are not older than about 30 years. The Otagi Nenbutsu Temple originally was in a more central location where the Empress Shotoku commissioned it to be built, but was then plagued by disasters like floods and tsunamis so was moved to Arashiyama. 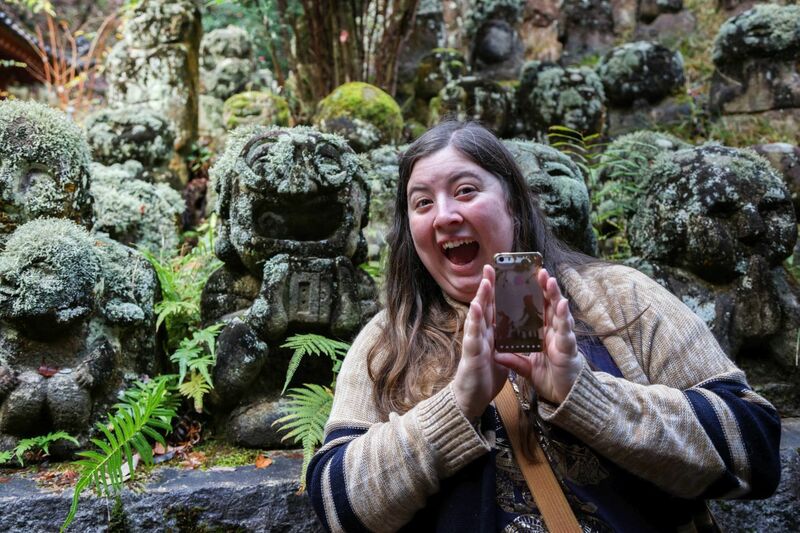 When it was moved, the temple invited the people of Japan to donate and even carve their own rakan, so they did and they included things like their cats or sake. Erika has found her match, a music playing, cell phone lover just like her. It took some searching but I finally found myself! We meandered through the temple grounds finding many rakan that could represent us. That one has a child; I’m a mother. 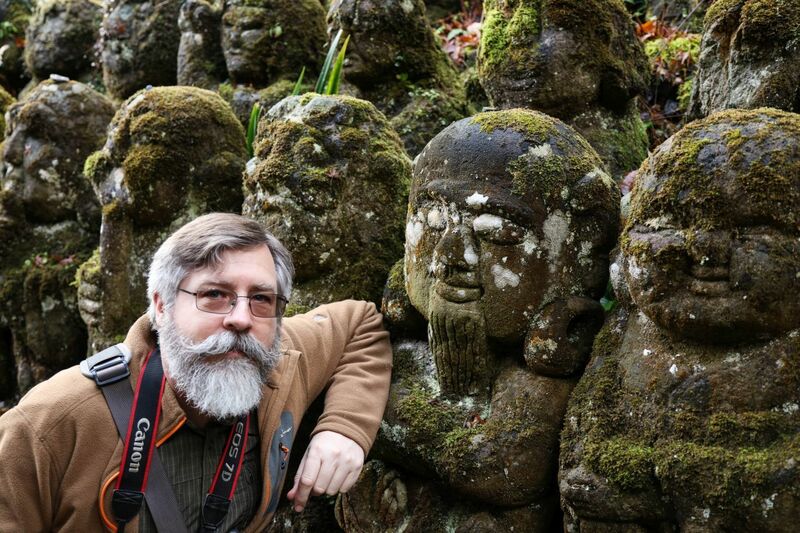 That one has a beard; it looks just like Jim. That one is holding a cat. That one is smiling large. That one is talking on the cell phone. Every one we found was completely different than the one next to it. Although some were in pairs. It was really fun. I’m not sure how long we spent marveling at the rakan and their personalities, but we finally pulled ourselves away and went back to the hustle and bustle of central Kyoto. 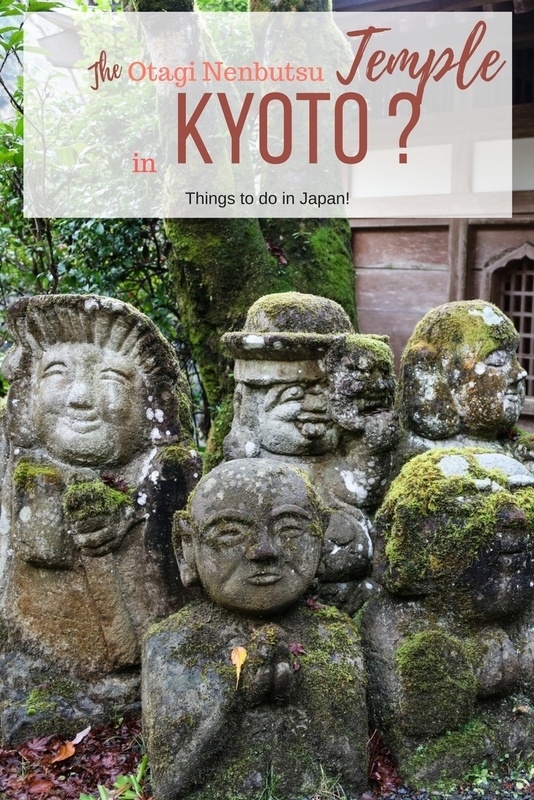 How to get there: A simple bus ride from Kyoto is all it takes. Don’t miss out on this amazing temple. 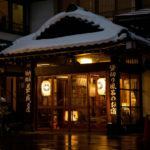 Pin the Otagi Nenbutsu Temple, the best in Kyoto for later! I’m used to seeing temple statues in more somber moods. Those rakan are very up to date. 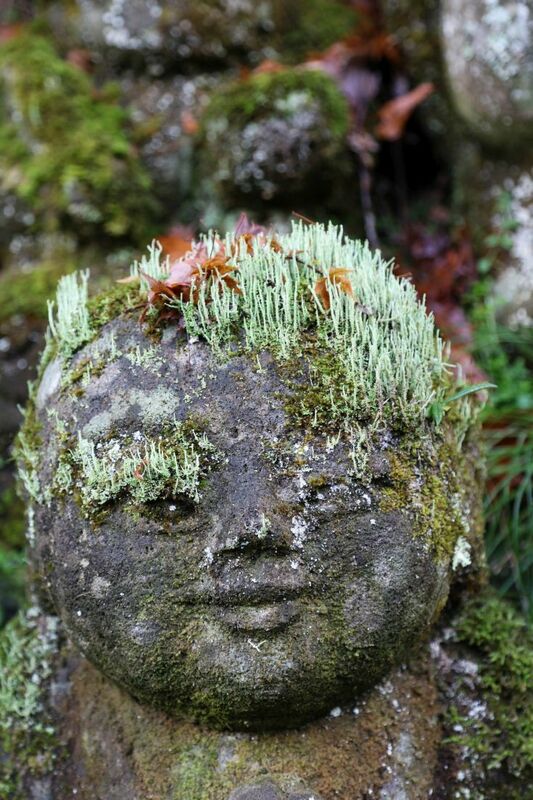 Moss and lichen hair definitely gives them character. Jeff, I think so, too! I loved finding all the various personalities. 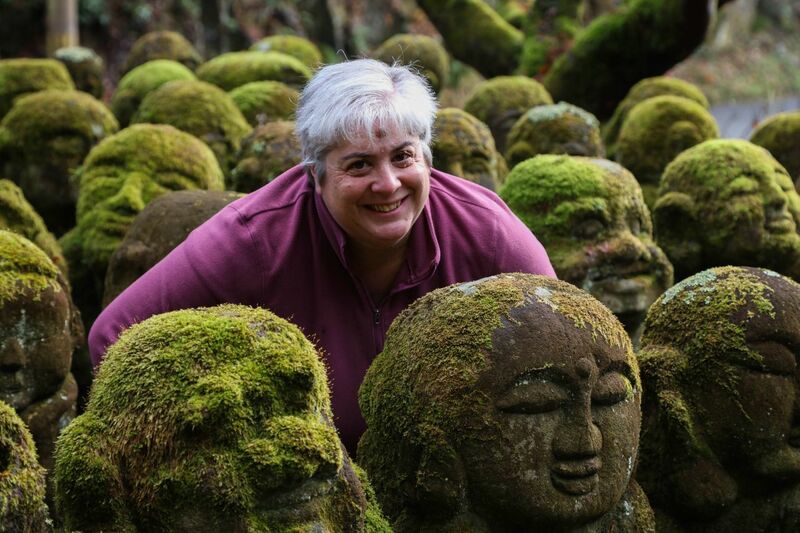 My kind of temple – quirky and a bit different! 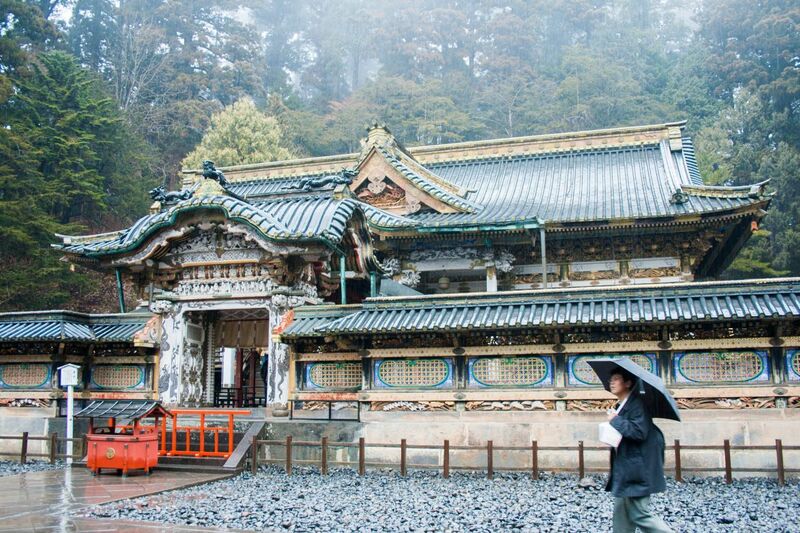 My only trip to Japan was just Tokyo but I hope to make it to Kyoto someday – and this temple. Jill, It really was a fun temple. I hope you make it there someday. It is a cool temple isn’t it?